يقع في Potts Point, ماكيلاي لودج إنه المكان الأنسب لاكتشاف سيدني و ما يحيطها. إن موقعه الجيد الذي يبعد 1.Km فقط عن مركز المدينة يساعد النزلاء على الاستمتاع بمعالم المدينة ونشاطاتها. كما يمكن الوصول بسهولة إلى The Potts Point Galleries, البت الاصفر, ‪El Alamein Memorial Fountain‬. إن الخدمات الممتازة وحسن الضيافة العالي في ماكيلاي لودج تجعل إقامتك تجربة لا تنسى. يمكن الاستمتاع بمجموعة من الخدمات على أعلى المستويات في الفندق كمثل واي فاي مجاني في جميع الغرف, تسجيل وصول/خروج سريع, واي فاي في المناطق العامة, غرفة عائلية, جولات. تتضمن كل غرف النزلاء وسائل الراحة والتسلية المصممة خصيصاً لضمان الراحة القصوى للضيوف. كما أن مجموعة الخدمات الواسعة الموجودة في الفندق لضمان راحتك تترك لك الكثير من الخيارات لقضاء وقتك أثناء فترة إقامتك. اكتشف مزيجاً ساحراً من الخدمة الاحترافية والخيارات الواسعة من وسائل الراحة والمتعة في ماكيلاي لودج. يرجى العلم أنه سيُطلب من الشخص -صاحب اسم الحجز- بطاقة ائتمانية سارية (البطاقة المدينة لا تصلح) وبطاقة هوية يحملا الاسم ذاته، وذلك عند تسجيل الوصول. عدم تقديم بطاقة ائتمان سارية أو مستند هوية سارٍ أو كليهما قد يؤدي إلى رفض الفندق تسجيل وصولك دون رد الأموال المدفوعة. Location brilliant. Lively area. Great shops plus supermarket very close. Transport brilliant. Choice buses and train. Excellent value, especially for Sydney. Very clean. Shared bathrooms kept very clean. Staff brilliant. Just so helpful. An excellent place to stay. Pros: Very welcoming helpful staff. Bathrooms kept spotlessly clean, as is the whole place Excellent location for public transport Rooms have coffee and tea, plus cutlery and plates, cups and glasses. So you can self cater with Woolworths very close by. Heaps of restaurants and take aways nearby Really interesting area. Full of life Cons: Hard to think of any really. If you have heavy luggage, ask for a room on a lower floor. If the bathroom on your floor is busy, you can go to one on the lower floor. An excellent place to stay with fantastic staff, who are incredibly helpful. Great hospitality n really helpful. Good location, only 10 mins walk to train stay and 2 stops from city center n shopping area. Also close to many cafe shops, restaurants and supermarket. I'll definitely stay there next time. Location was good in the city centre, but quite scary at Kings Cross because it's the Red District of Sydney. Staff was fantastic, although they're not cleaning the room even though we have stayed 5 nights here. They just told us to go to receptionist if we need new sheets of towels and toiletries. Overall, the stay was nice and the room was comfy enough for long stay. I was staying at ML while my partner was in hospital and the staff were outstanding, friendly and helpful in every way. I had some building noise outside my room and was moved very quickly to a larger room on the quiet side of the building at no extra charge. The ML is in a lovely position in Macleay Street whilst still very central to all transport. You can walk to the city if you wish. There is a large supermarket nearby so self-catering is easy. Also lots of good take aways and restaurants nearby. There is a share bathroom, and as my previous visit, everything was immaculate. I got a great deal with Agoda and it was terrific value for money. I would stay there again and recommend it to anyone. Have stayed there many times before but this time was able to afford a double rather than a single room, much better! Worth the higher cost even though all hotel costs, and everything else, in Sydney is very expensive as compared with most of Asia [excluding Singapore]. 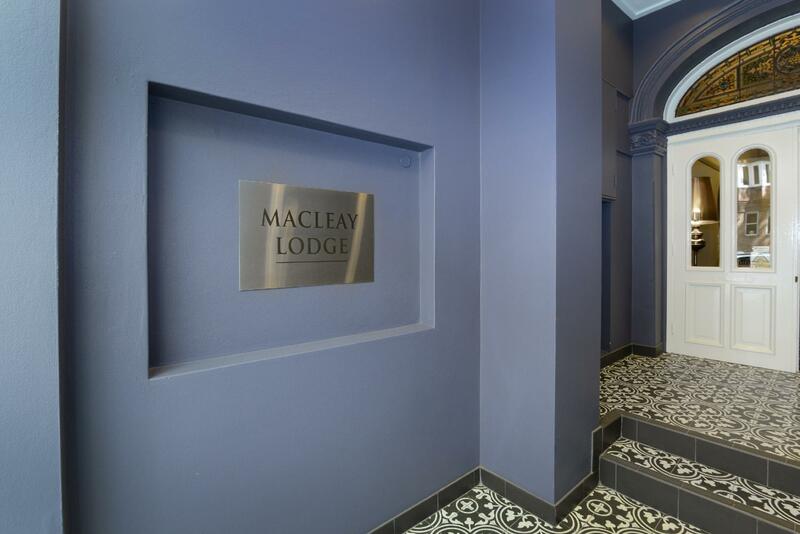 Macleay lodge is situated about 7min walk from kings cross station and there are eateries, macdonalds and a supermart along the way, so it is convenient in that aspect. The staff is friendly and helpful in giving suggestions on where to go and what to do in sydney. The room was acceptable with a portable heater, fridge, microwave and and basin area provided. Toilets are shared but are consistently well maintained. A value for money room to stay in! Lovely small hotel with excelent location for night life and sightseeing all in walking distance. Expensive parking around, we have to ride the car about 5 minutes away, park and walk back, still 29 dollars for 12 hours of parking. Great and helpfull people at reception. Really enjoyed staying with them. I will highly recommend this hotel to house solo or coulpe travelers. the location is very good, 5-10 mins walking to train station.. and there are one supermarket near by the hotel, serval restaurants and retail shops as well. It is outstanding value for money. The service, and receptionist in particular, is excellent. Place is very clean. I would have avoided staying somewhere without my own bathroom but this is no problem here. Very clean, closeby and always accessible. The room I had was on a high floor with good natural light, and plenty of space; very clean. I had a small fridge, micro, toaster and jug plus cutlery and plates; this was a good bonus. The hotel is in Macleay St which is lovely and leafy, and quite a distance from the sleaze. Great position for public transport as the 311 bus is outside the door or you can walk to the city from there; it is a pleasant walk through Hyde Park near the Botanical Gardens. I will definitely stay again. Really good. Booked bigger room this time so comfortable. Bathroom convenient and never had to wait to use it. Clean. Good value for money. I have stayed in a number of different hotels in this area over the last few years, and feel this is the best value for money. Better than expected. 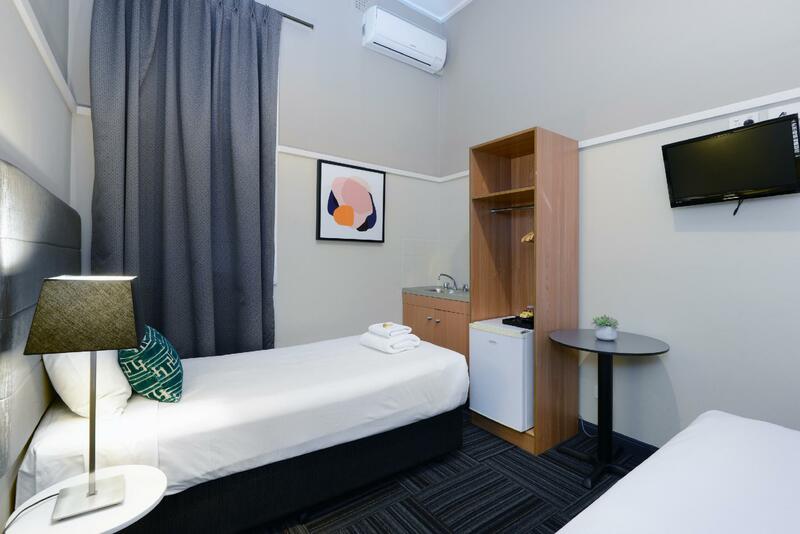 Quiet and secure location up Macleay st. Clean and compact room, with kettle/coffee, fridge, m/wave, sink, comfortable bed. No 311 bus stops nearby and goes to The rocks/near Circular Quay. Kings Cross station is a short walk. Clean modern toilet/excellent showers are a few steps from any room. A Woolworths nearby, with lots of good cheap eating a few hundred metres towards Kings Cross. As we expected, there are stairs as in most established Sydney buildings. Macleay House was convenient for me but I had local friends that picked me up and helped me navigate the area. I had a single room with shared bathroom. The room was spotless and very cosy. The only thing it was missing in my opinion was some milk powder sachets to go with the tea/coffee. It was reasonably quiet at the rear of the building. The bathroom was very tight but was always available when I needed it. I arrived late and left early so my friends organised my check in so I did not see any staff at all. 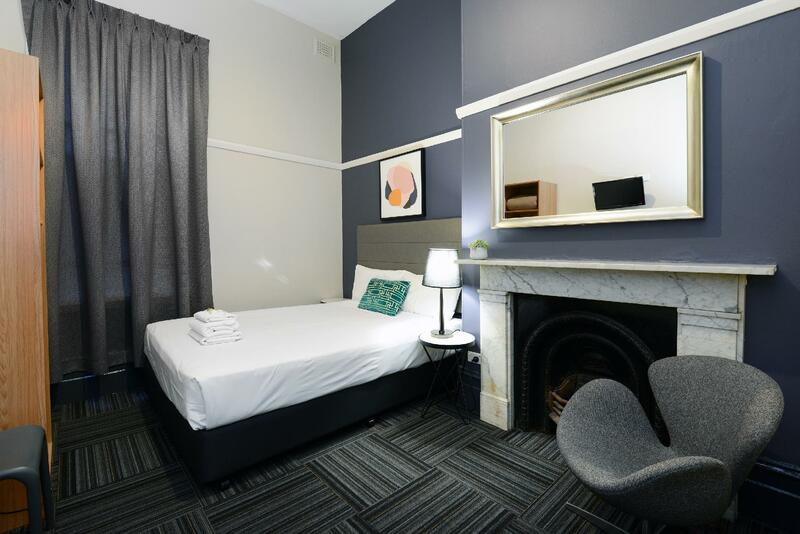 Sydney accommodation prices are exorbitant unless you want to stay in a seedy backpacker dorm which is a real shame. 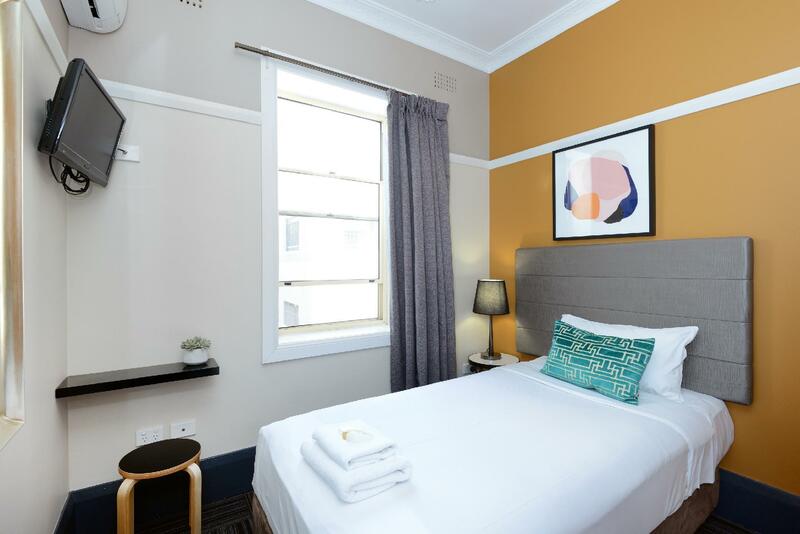 This is such a great hotel to stay at Sydney. First, Its quite close to the CBD, the bus and train station. We even can reach to the Opera house just by walking through the botanic garden. Second, we have every thing we need, the very warm bed, nice and large balcony with street view and a well equiped kitchen corner. Though the bathroom is outside the room and its shared, its always clean for us. Next, the staff is very nice and helpful. 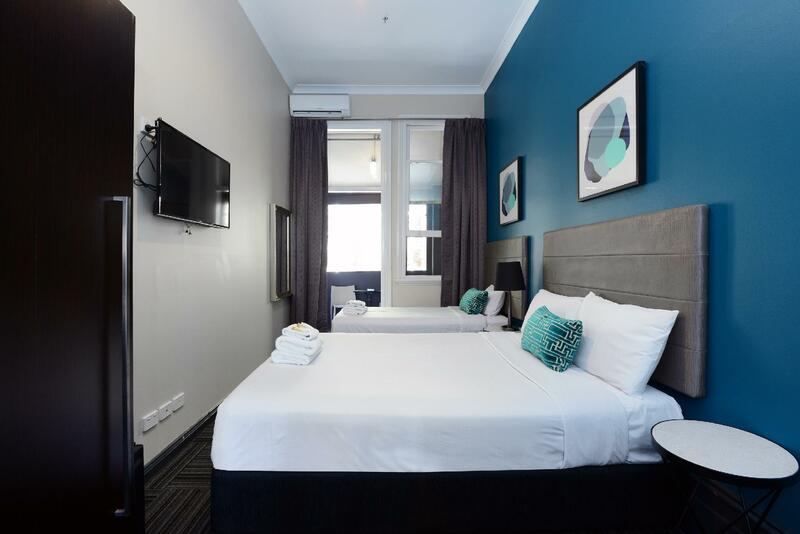 Finally, we like and miss this hotel when we move to another city, with a similar price , the equipment, service and everything are not as good as what we had at Macleay. We'll stay there when we're back to Sydney. the room is small but have everything you need but no heater. And no one clean the room. you must keep it clean yourself. If there is a next time I will choose it again because you have your own privacy. It was awesome. Hotel just nearby Halal restaurant and convenience store Woolworths. But around 700m to King Cross Station (nearby station). 13minute walk from starion to this hotel. Else hotel is awesome. Staff is very helpful. Nice choice.